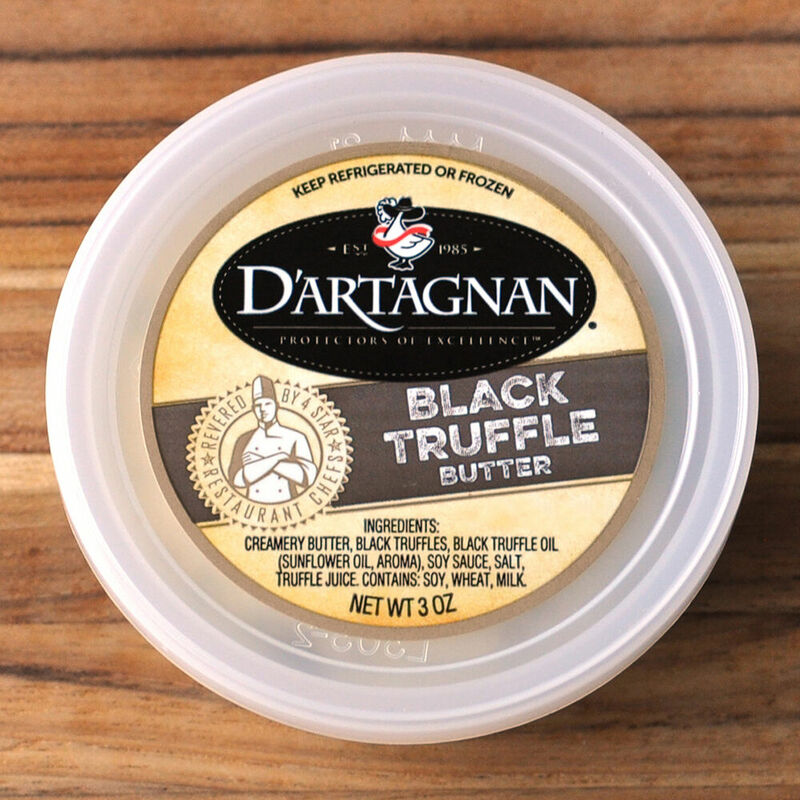 Creamery butter with real black truffle pieces, beloved by celebrity chefs and home cooks alike. Our truffle butter is an easy way to add authentic truffle flavor to your cooking and makes everything from pasta and eggs to risotto and popcorn—taste better. Try a dollop on a seared steak, or a few pats tucked under chicken skin before roasting. Truffles are one of the supreme luxuries in nature and the kitchen. Earthy and intoxicating, their distinctive fragrance has inspired culinary brilliance for centuries. Our truffle butters and oils capture the essence of the truffle, making it an affordable luxury that you can enjoy year-round.